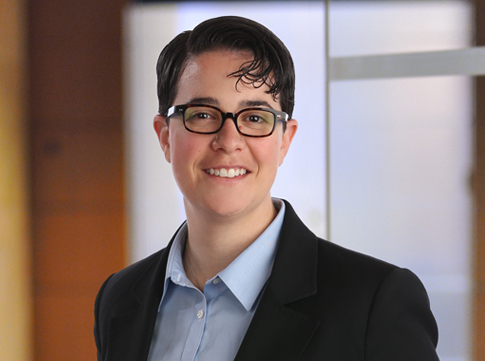 Maslon is pleased to announce that Erica Holzer, attorney in the firm's Litigation Group, has been elected to the Board of Directors of the Epilepsy Foundation of Minnesota (EFMN). Since 1954, EFMN has offered services across Minnesota and eastern North Dakota to those facing the challenges of epilepsy. The organization fosters a better understanding of epilepsy, promotes basic seizure training, raises awareness, and encourages the 60,000 people in our region with epilepsy to reach their full potential. As a member of the Board of Directors, Erica will work to effectuate EFMN's mission to lead the fight to overcome the challenges of living with epilepsy and to accelerate therapies to stop seizures, find cures, and save lives. Erica represents clients in commercial disputes and appeals primarily in the areas of tort and product liability, consumer fraud, business torts, and breach of contract actions. She is also deeply committed to pro bono service and devotes several hundred hours each year to pro bono work on behalf of the ACLU of Minnesota, the Innocence Project of Minnesota, and the MSBA. Recently, Erica was selected as the 2018 "Outstanding New Lawyer of the Year" by the Minnesota State Bar Association and was named a 2018 "Up and Coming Attorney" by Minnesota Lawyer. For more information visit: epilepsyfoundationmn.org.